I'm convinced that companies in the Real Foodie world are the best anywhere because they care. They care about your health and they care about the environment. I'm asked a LOT about my recommendations, because friends and readers know how picky I am and that I do hours of research on food, supplements, products, and everything health-related! You can find the results of what I learned was best for my own family here, but keep in mind that it may be something different for your family. If you click on the links and buy something, I’ll earn a small commission, but you don't pay any extra. Thanks for helping me continue to serve you by keeping up on the latest in the world of health, nutrition, and real food. 🙂 (To inquire about how you can get onto this page, email [email protected]) Read my full affiliate disclosure below. Get my Real Food for Rookies book here: paperback or e-book. Or read all about it here! See which FREE bonuses you get when you sign up for Kitchen Kop emails: click here! Check out my Amazon favorites page: click here. Or shop at that link for anything you need on Amazon and I'll get a tiny affiliate commission. We're all on our electronic devices too much. 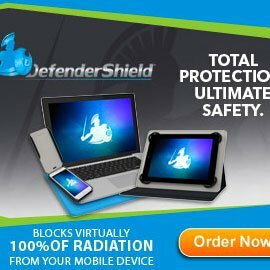 Use the Defender Shield to protect yourself and your kids from harmful radiation! For cell phone, laptop, or tablet. Click here for Defender Shield. Worried about what they might SEE online, even by accident? 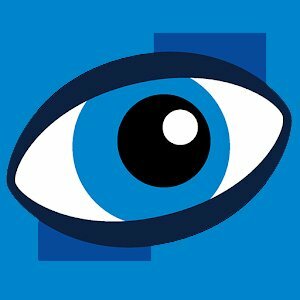 Get Covenant Eyes — it's not so restrictive that they can't move around online at all, but it sends weekly reports, so you know everything they saw! It's easy to set up, too. Click here for Covenant Eyes and get a 30-day free trial with the code KOP. Want more information on any of the above topics such as how to make something or why it's good for us? Just do an internet search with the words, “Kitchen Kop TOPIC NAME HERE”. For example, “Kitchen Kop laundry products”. Also click here to find real food near you and learn what to ask local farmers! Check out the new search tool that brings up *only* trusted real food and natural living sites! Can’t see the links on these shop pages?! 1. Do you have an ad blocker on? You'll probably need to disable it.